Walking is one of the easiest and most effective ways to achieve a regimen of regular exercise. 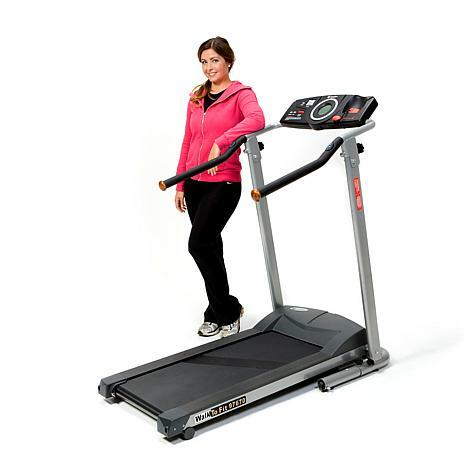 Treadmill walking is a great way to stay in shape no matter what the weather — and you can pass the time by watching your favorite TV shows or blasting your stereo. 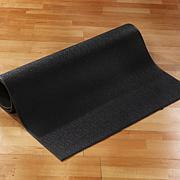 Walk your way to fitness in the comfort of your own home. I am very pleased with the Exerpeutic TF100 electric treadmill. Not too fancy or complex, but great features and size....gets the job done. Loving it! Very smooth and quiet! Good workout! I received this awesome treadmill earlier than expected. It took 2 UPS drivers to carry it however once I got it assembled its easy to maneuver. I am not a good one for assembling anything but with this Treadmill the assembly is mostly done. I have it in my home office so I will get to use it everyday, It is very quiet and smooth. I get a good cardiovascular walking workout. 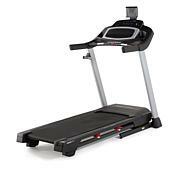 I purchased this treadmill for my birthday so I don't have to go to the gym anymore. I ordered it on the 5th and go it on the 13th, which was my birthday. Great gift and perfect timing. My husband had it set up and going in just a few minutes. I'm so happy it was an easy set up because he gets very frustrated if it takes him awhile to put something together. I have used it everyday since I got it and it is just right for what I was wanting. Plus my young son loves it as well and tries to "exercise" on it like mommy. Exactly what I needed. Display screen is just right size. I walk on it while Im watching tv, I cant believe how quiet it is. Love it!!! I workout on it daily, twice a day. It was easy to assemble. 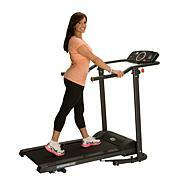 If you are looking for a running treadmill then this may not be for you, but speedwalking is great. It goes up to 4. I enjoy it and get a great cardio workout.